Welcome to the Hershey Bears Player Tracker for the 2018 offseason. This page will be updated throughout the summer as players sign contracts for the upcoming season. DOWNLOAD our 2018 Offseason Player Tracker Quick Reference Guide HERE! The Player Tracker allows you to keep track of all your favorite Bears from the 2017-18 season and see who is returning to the Washington Capitals and Hershey Bears organization next season. 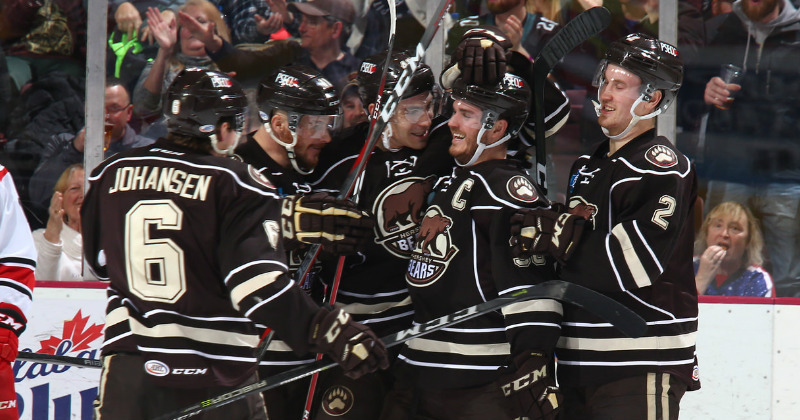 Players included in the Player Tracker include anyone who played with Hershey during the 2017-18 season that were still part of the organzation heading into free agency. NHL Free Agency is underway. All players on NHL contracts with Hershey are property of the Washington Capitals. Announcements of NHL signings will come from the Capitals and then be shared by the Hershey Bears.